It’s amazing how a single missed SMS message can cause so much damage, isn’t it? Not in an extreme life-or-death sense, but definitely in a mess-up-your-relationship sense. For example, you need to send out an important message but it’s too early or too late in the day, so you tell yourself you’ll do it later — and forget. This could ruin a potential business relationship. Or you’re busy at work but need to remind your partner of something later in the day, only to have it slip your mind. Thanks to a few free apps you can mitigate these issues simply by scheduling your messages ahead of time. 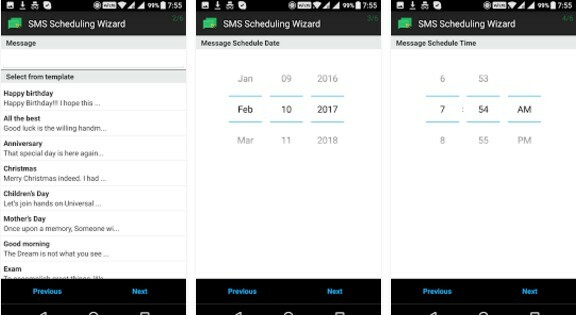 Today we present to you one of the best SMS schedulers on the Android platform, called SendLater. It is launched by the developer Tyree S and requires only Android 4.0 and up. 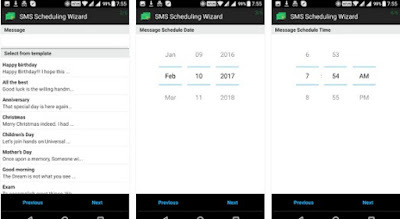 Designed with neat UI, the app is suitable for anyone who likes to schedule text messages on their device. Maybe you want to send a reminder text to your friend about your dinner meet-up tonight one hour beforehand. Or maybe you want to automatically send out birthday and anniversary texts to avoid any potential “Did you forget?” drama. The SendLater app can help you schedule all kinds of messages with an exact date and time. Just install it on your device, write an SMS or choose one of the ready-made templates and do the schedule. Schedule your messages to be sent on a later date and time by downloading SendLater for free from Google Play.